A common belief is that it hurts when you clean your skin with a roller. But that is not true. The process of using a derma roller to clean your skin – isn’t as scary as it might seem. While a derma roller may look like some kind of a torture device, it’s actually quite helpful and not painful at all when used properly. Firstly, we need to know what a derma roller actually is. 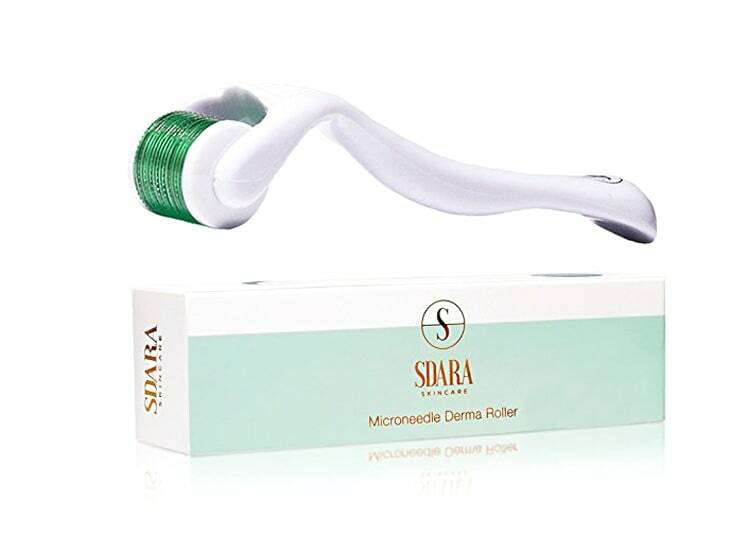 A derma roller is a handheld roller-device covered with microneedles – needles ranging in length from 0.25 mm to 1.5m – which job is to roll over the skin. The purpose of this rolling is to create tiny skin punctures on the skin which triggers skin repair that will lead to the creation of new collagen. A bodily protein made up of amino-acids, collagen is the part of the connective tissue that helps in firmness, strength, suppleness, and elasticity in the skin. As a result, the short-term wounding of the skin is intended to trigger the production of a protein that will actually, in turn, strengthen the skin to a healthier level than before. Think of derma rolling as you would think of weight training and working out, you can create small tears in your muscles. So that the muscle is repaired and made stronger than before. Not a perfect parable or comparison, but you get the idea. It also provides other benefits. It exposes the deeper layers of your skin the benefits of various topical ointments, natural oils, treatments, and products, leading to greater effectiveness and therapeutic effect… In other words, after derma rolling, your skin will be more susceptible to the effects of anything that comes into contact with it. There are some general methods of using the derma roller, no matter what the needle size is. Firstly wash your hands and the face where you will use the roller. Then wipe the skin and your hands with anti-bacterial gel (if you are using needle lengths of less than 0.5mm you can skip this step). If you are using numbing cream, follow the manufacturer’s instructions for use. Always remove the cream completely before rolling. Rinse the derma roller under hot running water for a few seconds. After that apply skin care product, if using. Whilst pulling the skin taut with your free hand, roll forwards and backward over the area to be treated. Apply a bit of pressure to allow the needles to penetrate into your skin. Roll 8-10 times in each direction: vertically, horizontally and diagonally (forwards and back equals two rolls). Apply sufficient pressure for the needles to penetrate the skin to their full length. Lift the derma roller slightly after each roll – this will ensure that the needles create new micro-channels in the skin rather than going over the same ones repeatedly. Wash treated the area and dry with a clean towel or air-dry. If you want only to increase absorption of skin care products, the most mild and un-serious of the needle length is 0.25 mm. Unable to stimulate collagen growth, this length is strictly used in order to help skin care products to achieve a more beneficial impact. No bleeding or pain is experienced as a result of 0.25 mm needling. The second lowest length of needle, 0.5 mm derma roller’s purpose is to treat shallow and superficial damage to the skin. Still, on the short side, 0.5 mm needles can cause some minimal pain and bleeding, and can only trigger minor collagen growth. The perfect solution for wrinkles, scars, and stretchmark’s, the 0.75 to 1.0 range is when we start to see some serious derma rolling-impact. A greater recovery time between needle treatments is required (4 to 7 days) due to the increased invasive nature of the session, and moderate bleeding is not rare. 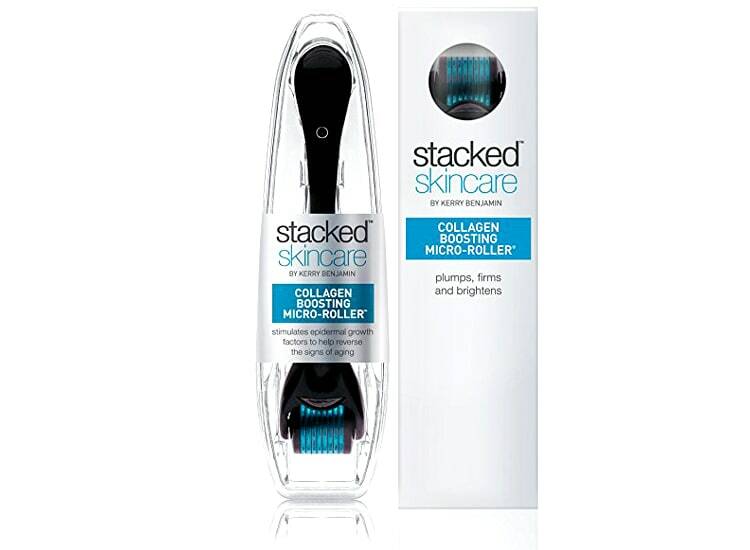 Anything in the 1.5 mm range of derma rollers or higher represents more than a simple at-home skin remedy. It is a serious skin treatment that would-be users need to understand the risks of. A painful and bloody treatment even in the best-case scenario, 1.5+ mm treatments are used to treat the most severe scarring, stretch marks, and skin ailments, this treatment is more often used on the body than the face, due to the intense redness and bleeding it has been known to cause. There are two different ways in which derma rolling can be performed on hair – singularly, or in conjunction with hair loss medications in order to facilitate absorption. Without hair-care products, derma rolling can promote hair growth by increasing blood flow to the hair follicles, thereby also inhibiting proteins that cause hair loss. As was described in regards to skin, derma rolling can also help to increase absorption in different areas, which would help the scalp absorb treatments such as monoxide more easily and to improved effect. When acne hits, the skin has an inflammation response to the damage, after which the body will try to repair the damage, producing more collagen which, combined with the inflammatory response, can create scarring. Picking the blemishes increases the inflammatory response of the skin, so it is important to remember never to needlessly inflame the skin on your own. Once the scarring has already set in, however, derma rolling can help to undo it. 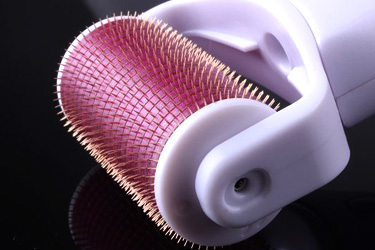 The prickling of the skin by the derma roller will cause the skin to repair and replace itself which, if done over a long enough period of time, can eventually wear down and eliminate scars. Regardless of their primary cause, there isn’t anyone who will tell you that they are a fan of their stretch marks. One of the most common concerns of women during pregnancy, as well as a large number of folks who encounter the scarring and markings during their day-to-day lives, stretch marks are an unsightly skin marking that has not been fully remedied – only treat to varying degrees. 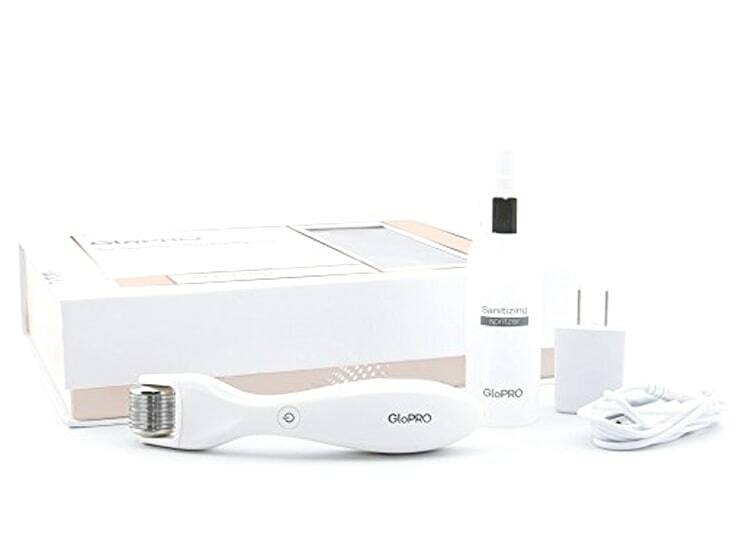 The duration will take to have a serious impact and see real effectiveness will vary, but derma rolling has been used to repair and eliminate stretch marks to excellent effect – try it today to start putting your derma roller to work for you. Wash the derma roller under hot running water after use. If there is any blood on the derma roller, soak it in warm water with a little washing up liquid added until clean. Be sure to rinse well with water afterward. Sterilize your derma roller by standing it in disinfecting alcohol for at least 20 minutes. If you are using a roller with titanium alloy needles, do not use babies sterilizing fluid as this can damage the needles. After sterilizing, place the derma roller on a clean towel until it is dry. Once dry, replace the needle cap and store the roller in a clean place. Whenever possible, try not to let the derma roller’s needles come into contact with any hard surface. See a Difference in Just a Few Treatments! Wash your hands and the area to be treated thoroughly. Wipe the skin and your hands with anti-bacterial gel (you can skip this step if you are using needle lengths of less than 0.5mm). If you are using numbing cream, follow the manufacturer’s instructions for use. Always remove the cream completely before rolling (you can use cotton pads soaked with alcohol to do this). Rinse the derma roller under hot running water for a few seconds. Apply skin care product, if using. Whilst pulling the skin taut with your free hand, roll forwards and backward over the area to be treated. Roll 8-10 times in each direction: vertically, horizontally and diagonally (forwards and back equals two rolls). Apply sufficient pressure for the needles to penetrate the skin to their full length. Lift the derma roller slightly after each roll – this will ensure that the needles create new micro-channels in the skin rather than going over the same ones repeatedly. Wash treated the area and dry with a clean towel or air-dry. – There may be some bleeding immediately after rolling but this is superficial and should simply wash away. – Your skin will be red after treatment; this is normal and will fade after a few hours. After cleaning/sterilizing, place the derma roller on a clean towel until it is dry. Once dry, replace the needle cap and store the roller in a clean place. Whenever possible, try not to let the derma roller’s needles come into contact with any hard surface (doing so will make them blunt more quickly). Do not use the eyelids or lips. Skin Repair Anti-Aging Firming After Dermal Rolling Facial Mask. Pure silk is skin healing/repairing, anti microbial properties and contains firming, collagen building EGF- epidermal growth factor and and Protein Peptides, which are well known anti-aging, firming ingredients and HA- hyaluronic acid for deep deep moisturisation. and it is also “Perfect with derma-rolling, derma-stamping- apply on your skin immediately after derma-rolling for faster recovery and greater ingredient penetration!- You’ll see the best result. It givesthe face a smoother, plumper, and firmer appearance. Gently roll the Micro-Roller over skin vertically, horizontally and diagonally. Roll over each side of the face, chin, lips, forehead and neck. Gently micro-exfoliates and creates the appearance of smoother, plumper, firmer-looking skin. Helps to thicken your epidermal wall. Needles are very gentle to skin. Use the products you love to promote healthy looking skin. Our cosmetic needling instrument for face is here to stimulate a healthy glow. We want you feeling and looking your best everyday by using the proper beauty tools. Our non-invasive, cosmetic needling instrument has a 0.25mm needle length which is considered safe for home use. Dermatologists recommend at-home rollers to be no longer than .25mm. If you use a micro needle roller with longer needles, you risk damaging your skin. Treatments with a professional are expensive. With weekly or bi-weekly use, you can achieve results for a fraction of the cost. Looking your best has never been this affordable. Can be used to exfoliate. Use on face, forehead, head, neck, nose, scalp, chin and other body parts such as abdomen. This needling beauty therapy is a must try. You can use it all over your body. The needles do not hurt. Gives the skin a fairer look. 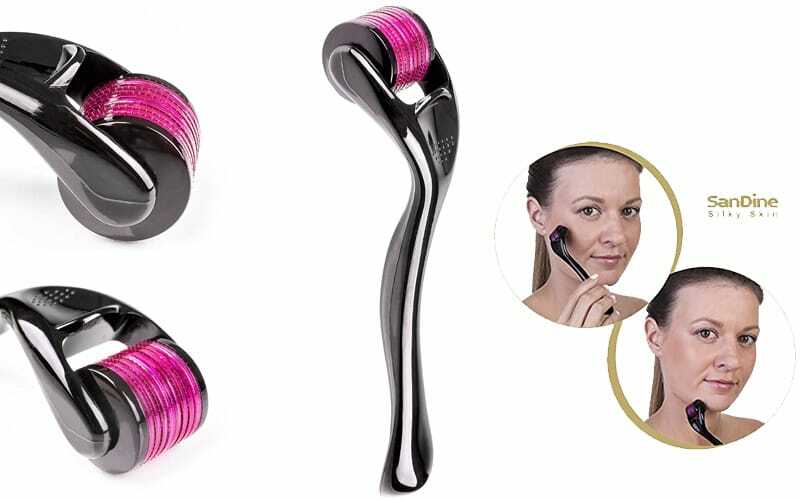 This derma roller when rolling on your skin, this revolutionary device stimulates the facial skin exfoliation process. You will see visible effects after only a few applications. One of the main functions of the micro needling skincare kit is to improve the application of serums gels and oils. Applied immediately before or after a derma roller session they are absorbed much more efficiently. This skin massager can greatly improve the appearance of skin all around your face. You can use it on your forehead, cheekbones, around the mouth, the neck, and the chin. Using it in the thigh and buttocks zone will give it a smoother look and feel. Dermatologists confirm the 0.25mm size of the needles is perfect for home use. It provides the perfect balance between safety, painless application, and effective results. The high-grade titanium microneedles guarantee your beauty tool will remain strong and durable for long. You can feel the smoothness of your skin after every use. The handle is compact and comfortable and there is no pain really when applying on the face as the needles are very fine and small. GloPRO’s patented technology stimulates skin’s natural healing response to induce micro-rejuvenation deep within the skin. As MicroTips pass over the skin, the rejuvenation process begins immediately as cells respond to imperceptible micro channels by restoring volume from the inside out. The result is a visibly firmer, smoother, younger-looking appearance. Use the enclosed Sterilizing Spritzer bottle to fill with alcohol and spray MicroTips after each use. As MicroTips™ pass over the skin, the rejuvenation process begins immediately as cells respond to imperceptible microinjuries by restoring volume from the inside out. Red LED light function and VibroTactile™ Stimulation work synergistically to enhance regenerative skin benefits. 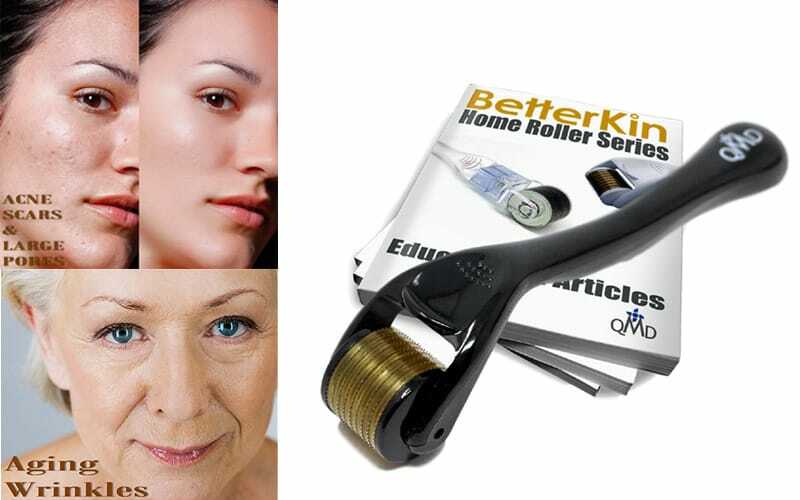 Clinical studies have shown derma rollers to be as effective as cosmetic treatments. Rollers are substantially cheaper compared to expensive spa treatments. Stimulates collagen and elastin production, which helps to result in smoother, firmer, healthier, and younger-looking skin and reduces the signs of aging. 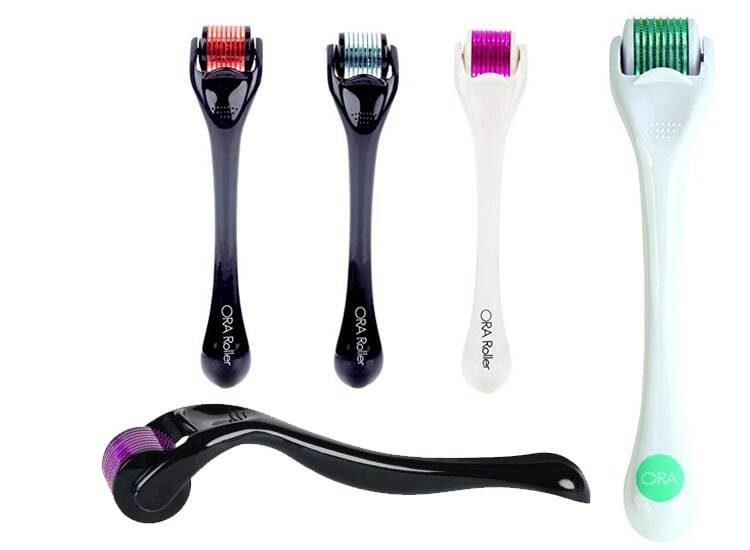 ORA Derma Roller helps reduce the appearance of scars from injury or acne, fine lines, wrinkles, stretch marks, and other blemishes. Banish acne scars roller massager with storage clear plastic case. If you are tired of your acne scars and other skin imperfections that never go away no matter what and how many costly beauty treatments you tried. If you are afraid of low-quality cheap rollers that scratch your face… and if you are lost without instructions on how to use your roller. Then you arrived at the right page, our company mission is to provide our customers with the highest quality cosmetic products. Made of top quality stainless with 540mn 0.25 mm long. Supplied sterile in a vacuum sealed bag plus a clear plastic case for protective storage. Its sharpness is higher and safer than titanium. It has been proven to improve the texture, quality, and smoothness of the skin. This size is mostly indicated for sensitive areas like the face, neck, around eyes, etc. It will help you get used to rolling devices before trying longer ones. Remodels any imperfection if your skin problem is in the outer layer. Renovation & resurfacing. Impressive effect reducing wrinkles, fine lines, hyperpigmentation and deep pores. Perfect to give the instant glow to your face or smoothen body areas with superficial marks.Comes in a vacuum sealed sterilized bag. For home acne scars, stretch marks fading and personal skin care at home.Instructions included plus e-book under demand. Makes your acne scars invisible. Helps you to get smooth skin. Makes your skin looks more glowing.